Our customer base of house builders, local authorities and construction companies benefit from an expanding array of roofing solutions carried out by expert, highly trained operatives. Standing seam combines versatility and ease of use while its non-penetrative clip-fixing systems make it an ideal product choice for low pitch applications. It avoids the need for joints as it can be specified in tailor-made lengths. 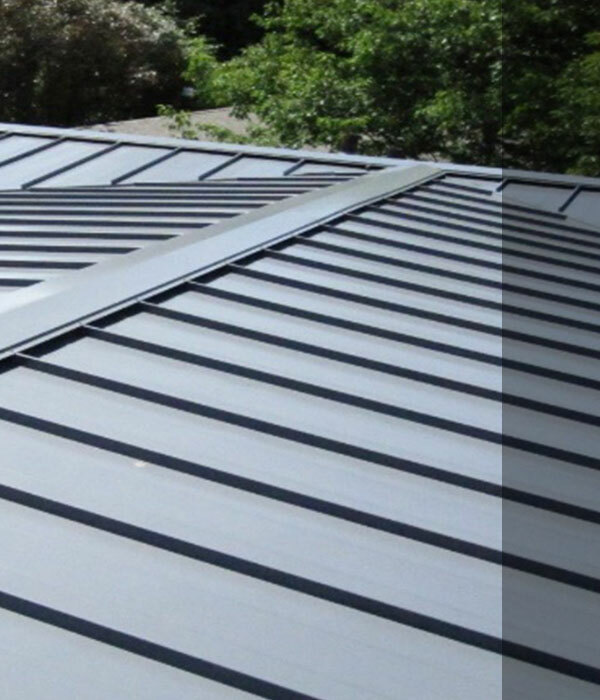 Standing seam comes in a range of colours and materials, such as aluminium and our qualified team of skilled operatives can help tailor projects to individual needs. Composite panels are an ideal choice for commerce and industry roofing. Insulation is factory-bonded directly to the metal profile, avoiding cold-bridging and fully insulating the roof. The process of over-roofing eradicates the cost and inconvenience / disruption of stripping an existing roof. Our roofing operatives are respected for their specialist refurbishment service, which has seen thousands of square meters of factories and business facilities re-roofed or over-roofed.